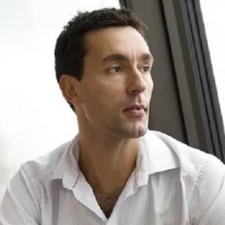 Korean games firm Nexon has announced that it is putting cash behind a new development house from EA alum Patrick Söderlund. Embark Studios and Nexon's stake in the outfit was announced as part of the company's financial results with Söderlund being put forward to join Nexon's board as a result. Nexon owns 33 per cent of Embark and will serve as its publisher for an indiscriminate number of games. Johan Andersson, the head of EA's relatively new Search for Extraordinary Experiences Division, is also joining Söderlund's new venture. The press release announcing Embark, while trying to be exceptionally exciting, ends up feeling incredibly dry and littered with the sort of buzzwords that investors love. But speaking to The Verge, Söderlund says the overall mission of the studio is to use emerging technologies to make new sorts of games. “It all stems from a belief that our industry, and the future of interactive entertainment, is going to look different than what we have today,” he said. EA announced Söderlund's departure in August of this year. The then-head of Worldwide Studios had worked at the firm for some 20 years having started out at Battlefield maker DICE. No doubt Nexon is hoping that things go slightly better with Embark than the last Western games industry veteran that it decided to back in Cliff Bleszinski and his now-defunct firm Boss Key Productions. Nexon blamed that studio's debut LawBreakers, which it had the publishing rights to, for a $32.6m loss. For that deal, Nexon took a "minority stake" in the firm and only had the rights to publish its first game. The terms of its deal with Söderlund seem to have a much longer strategy in mind. Whether this is something of a response to LawBreakers and Boss Key is obviously unknown. Elsewhere in Nexon's financials, the firm says that its Q3 2018 results were driven by Dungeon and Fighter in China and MapleStory in Korea. MapleStory 2 - which hit one million users shortly after launch - is absent from the results due to it launching after September 30th, the endpoint for this quarter. “We had another great quarter, demonstrating the long-term strength of our core franchises,” said Nexon bossman Owen Mahoney.